While approximately 20 percent of people experience an episode of depression within their lifetimes, the figure climbs to 50 percent among people living with heart disease, according to the American Psychological Association. In addition, a recent study in the Journal of Affective Disorders shows that the suicide mortality rates among patients with cardiovascular disease is higher when compared to the general population, and suicide rates are highest in patients who are of young to middle age. The corollary is also true: Research published by the Centers for Disease Control and Prevention states that people with depression are more likely to have other conditions that can lead to heart disease, including obesity and diabetes. These serious health connections underscore the importance of ensuring prompt access to integrated healthcare services and parity in insurance coverage for physical and mental health conditions. As February marks the annual American Heart Month, Debra L. Wentz, Ph.D., President and CEO of the New Jersey Association of Mental Health and Addiction Agencies, is taking the opportunity to remind all healthcare providers to consider the link between mental health and cardiovascular disease: "Heart disease often co-occurs with mental illness. It is clear that we need to educate individuals and healthcare providers about the correlation between the two conditions, and we should not continue the practice of separating physical and behavioral health treatment. There is an urgent need to expand integrated healthcare options in order to properly address the physical and mental health needs of New Jersey residents." "The strong connection between mental illnesses and heart conditions make it clear that it is now more important than ever for the mental health parity bill to be passed," Dr. Wentz added. We urge the quick passage of the legislation that the New Jersey Senate is considering which would increase enforcement and oversight of federal laws that require equal insurance coverage for treatment of physical health conditions, mental illnesses and substance use disorders. 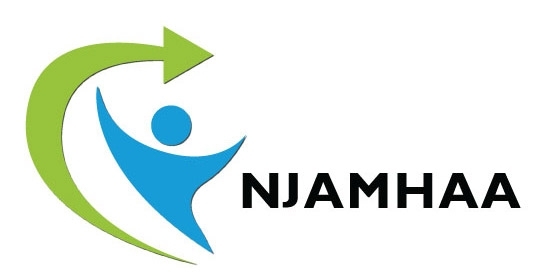 NJAMHAA is a statewide trade association representing 144 organizations that serve New Jersey residents with mental illness and/or substance use disorders, and their families. In the policy push toward integrated care, NJAMHAA has also been a major voice in calling for the enforcement of the federal law to promote parity. Individuals who have insurance coverage and receive ongoing care for chronic illnesses such as heart disease may still have difficulty locating, enlisting in, and receiving approval for mental health services that could significantly improve their overall well-being. "Community-based behavioral health providers frequently serve patients with not only these mental illnesses and substance use disorders, but also complex chronic physical health conditions, including heart disease, that create additional challenges for vulnerable individuals. Many NJAMHAA member agencies either provide medical services at their own facilities, or maintain partnerships with local clinics, physician groups or hospitals to be able to quickly connect individuals with necessary medical treatment. Parity will help ensure that everyone can receive all needed health services," Dr. Wentz added. The correlation between depression and heart disease is so strong that the American Heart Association (AHA) and the American Psychiatric Association recommend routine screening of heart disease patients for symptoms of depression, further emphasizing the need for integrated healthcare and mental health parity. According to the AHA, people who are hospitalized for heart attacks are approximately three times more likely than the general population to experience depression, and heart disease patients with depression are at a higher risk of cardiac arrest, surgery complications, and hospital readmissions after procedures. For many, knowing that they have a cardiovascular disease may contribute to anxiety and depression due to the financial strain associated with treating the condition and the effect that the disease may have on their personal lives. Along with being aware of the high co-morbidity rate of mental health and heart disease, it is important to understand how the two conditions can influence each other; the pharmacology, biology, and stress of cardiovascular disease treatment can negatively affect mental health, and poor mental health can lead to lower adherence to treatment and poor overall outcomes. It is also important to note that symptoms of depression and anxiety manifest differently in men and women, and men are less likely to seek treatment. It is critical for individuals and healthcare providers to be able to identify the different symptoms of anxiety and depression. Individuals can further lower their chances of developing heart disease by making healthier choices and managing pre-existing conditions. High cholesterol and blood pressure, obesity, and diabetes are all preventable and treatable conditions that can significantly contribute to the development of heart disease. Making healthier dietary choices, such as limiting foods high in saturated fat, sodium, and added sugar can also help reduce one's risk of heart disease. Lifestyle changes associated with a decreased risk of heart disease include limiting alcohol, quitting smoking, exercising regularly, getting enough sleep, and managing stress.